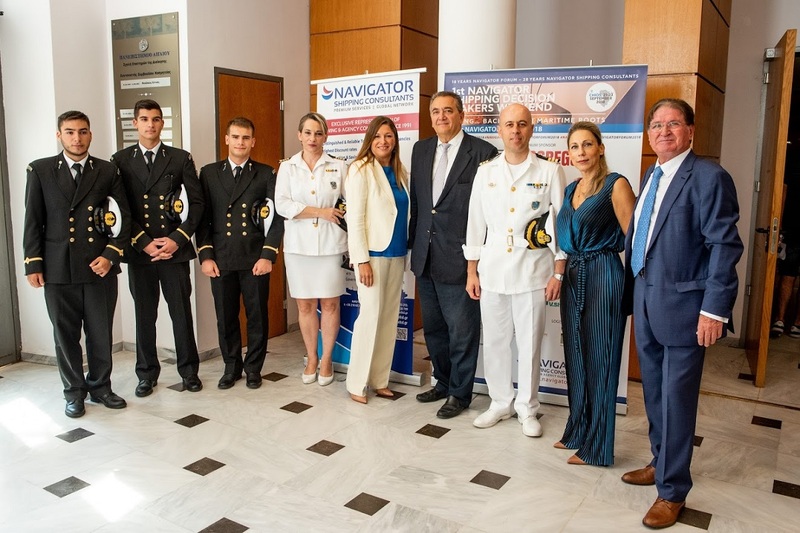 Chios Port Authority Chief Irini Argyri; Navigator Shipping Consultants CEO Danae Bezantakou; Aegeus Shipping SA Georgios Pateras; Oinousses Merchant Marine Academy Commander Pantelis Vatousis; Mediterranean – MACGREGOR Regional Director Athina Kanellatou; Navigator Shipping Consultants President Dimitris Bezantakos. 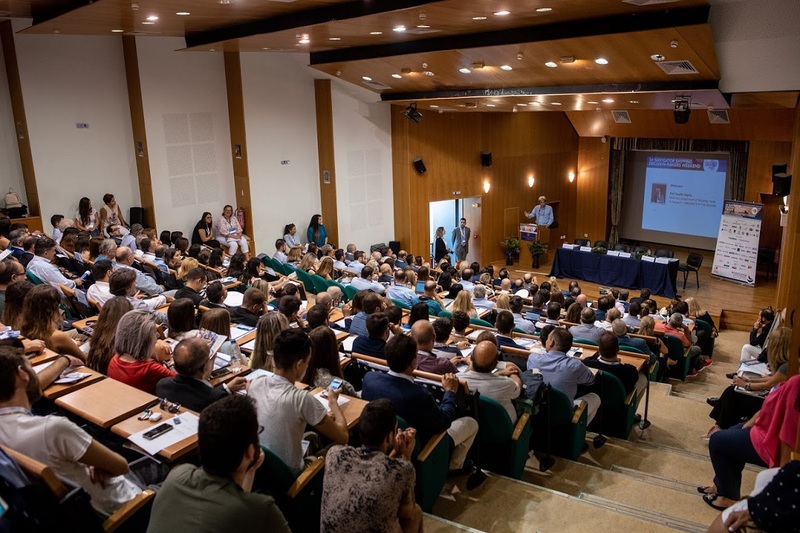 Shipping sector executives, maritime organizations, shipping companies and maritime press attended this year’s Navigator – The Shipping Decision Makers Weekend held on the island of Chios last week. 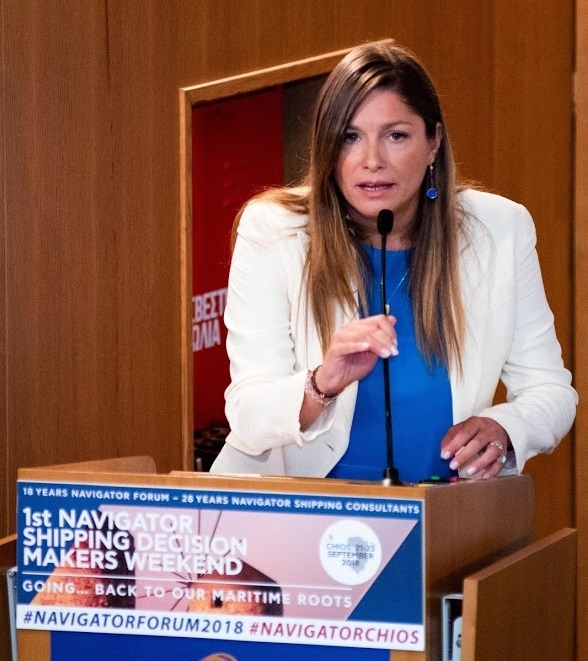 The two-day event, held on Chios as a tribute to the north Aegean island’s shipping legacy, was organized by Navigator Shipping Consultants in parallel to the 18th Navigator Forum and saw attendance numbers reach 300. The focus this year was on the exchange of know-how, experience, insight and ideas as well as ways to meet the challenges of an ever-evolving sector. Danae Bezantakou, CEO Navigator Shipping Consultants, underlined the importance of educating the next generations in order for Greece to preserve its leading position worldwide and at the same time safeguard its shipping tradition, noting that volunteer work can go a long way in this direction. “Organization, methodology, work, funding and knowledge are key to achieving this,” she said. Delegates focused on the need to develop synergies, the importance of the supply chain, port infrastructure and location, innovation and technology, the human factor and soft skills, IMO regulations, education and training. 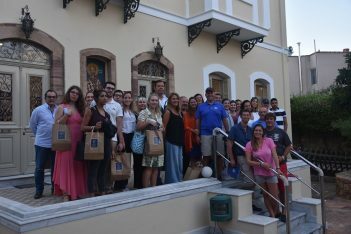 The Forum’s delegates at the Chios Maritime Museum. In a message on occasion of the Navigator – The Shipping Decision Makers Weekend, Shipping Minister Fotis Kouvelis said the development of maritime education and the protection of labor rights were among his top priorities, adding that in cooperation with Greek shipowners, actions are underway to upgrade maritime education, modernize facilities at Merchant Marine Academies, improve the curriculum and boost their links with higher academic institutions abroad. Panel discussions addressed the future of shipping and the role of technology; environmental developments and changes in human resources; shipping past, present and future; new challenges in the sector. 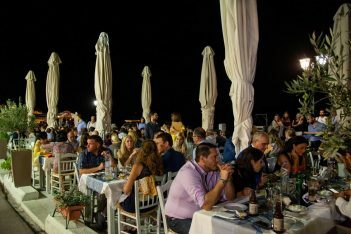 A feast took place on Chios during Navigator – The Shipping Decision Makers Weekend. Following the event, Navigator forum participants were treated to a traditional Chios feast, a tour of the island’s famed Mastichochoria (Masticha villages) and a visit to the Chios Mastic Museum and Chios Maritime Museum. The 19th Navigator – The Shipping Decision Makers Forum will take place in Athens in November 2019. 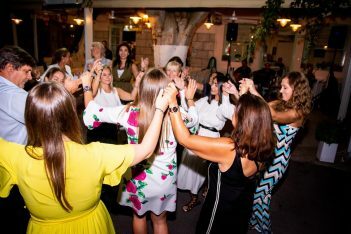 The Greek Travel Pages was media supporter of the event.